LaTeX is wonderful for writing mathematical papers, but while the output is perfectly typeset it is not visually very exciting. And although it may just be "familiarity breeds contempt", I am basically fed up of the CMR fonts. I want to write some course notes that don't look like a dry mathematical paper, but rather have a bit of additional "pizzazz" to relieve the visual monotony for the students, and to provide subtle visual assistance in navigating the notes. It's not that I want the course notes to look like a 1000-page Calculus text or a ".. For Dummies" book where the entire book is a mass of cute little icons, call-outs, footnotes, marginal comments, cartoons etc, but just something that gives some attractive chapter and section headings, a few distinct ways to frame material that is either background, or advanced or otherwise to be separated from the main flow. I've searched a bit and the most promising thing to explore further that I have come across so far is a package called "memoir". I think it depends a lot on the subject of your lecture notes. Good lecture notes should be readable, easy to file and easily identifiable as your notes, i.e., your own distinct style. Personally I don't like the idea of framing things up too much. 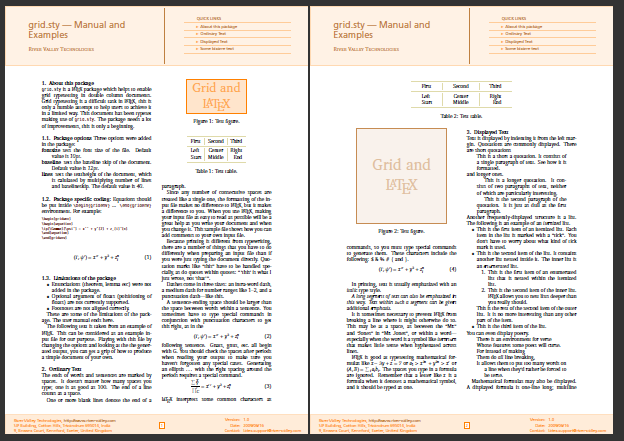 I would recommend you use the grid package. Another alternative, is the tufte-latex class. This is a good class, especially if you want to talk to the students via "sidenotes" and ancillary material can go in the margins. Whatever, you decide on spend some time to develop the first couple of lecture notes. They are the beginning of the start of your future book! 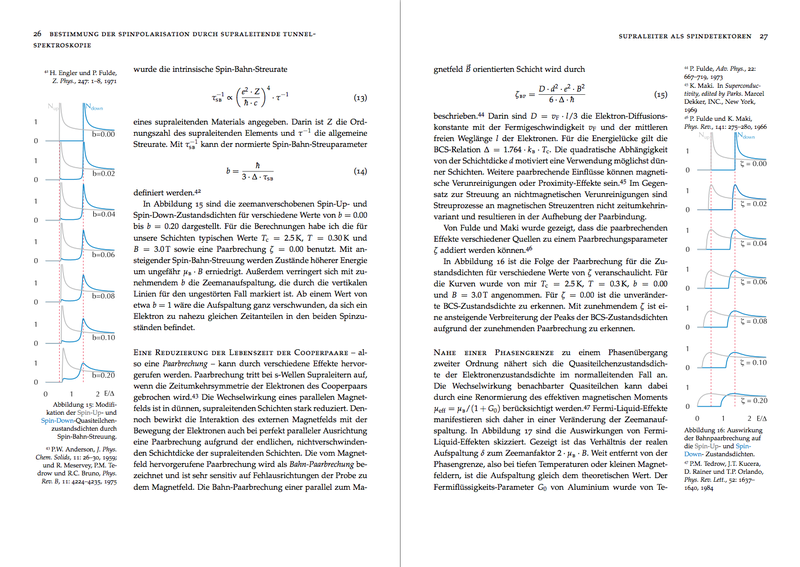 I would second Yiannis recommendation of the tufte-latex (T-L) class and provide an example out of a PhD thesis in physics (sorry, German. T-L supports handouts and books. It also uses Palatino as the default font. If you dislike the LateX default fonts in particular, because you see them everywhere, you could try to use Xe- or Lua-LaTeX and load any system font you like. There have been some amazing demonstrations here on TeX.sx of using the TikZ package to provide colourful enhancements to page headings, section headings, and such. How to get a colored box as the header? I sometimes use randomized frames to remove the visual monotonicity of course notes. One example is this (and ignore the mistake in the solutions!). The details for creating this style are explained in the accompanying article. That style is created using Metapost in ConTeXt, but it should be relatively easy to create a similar look using TikZ in LaTeX. In order to include high quality vector graphics and even animated pdf files, I recommend Asymptote. Asymptote is a vector graphics language that uses LaTeX for writing labels, equations, etc. It can generate eps, pdf, jpg and png formats. I also recommend the tufte-latex class with the TikZ package. If your documents include exercises, I suggest you consider the fortextbook option of the eqexam package. I fully agree with the recommendations for tufte-tex and XeTeX as I use both regularly. I would also recommend using sagemath and the sageTeX package if you have ready access to a non-Microsoft computer. Though it's not particularly useful for physical handouts, if your students all have computer access, you might consider using the animate package. I use all of these packages quite regularly and have been quite pleased with the results. Not the answer you're looking for? Browse other questions tagged packages formatting typography or ask your own question. What's the difference between a class and a style? How can I create a Chicago Manual of Style formatted document in LaTeX? How should I add visual indications of excerpted sections?